The world is very different this Earth Day 2012 than it was three decades ago in Warren County, NC where protests against apolychlorinated biphenyls (PCB) landfill sparked the national Environmental Justice Movement. These protests and arrests also provided the impetus for the United Church of Christ Commission for Racial Justice to issue its landmark "Toxic Wastes and Race in the United States" report in 1987. 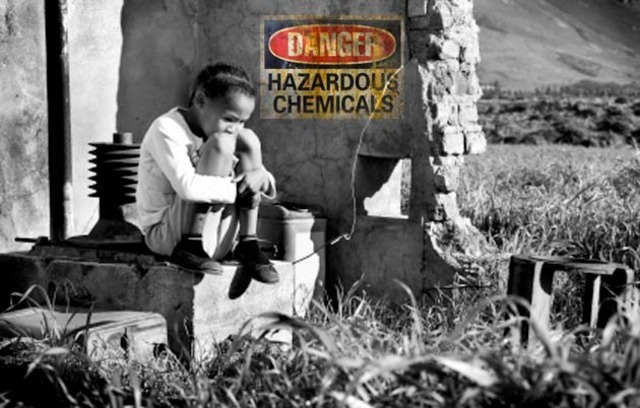 The UCC report found people of color overrepresented in communities near hazardous waste sites. Two decades later, the 2007 UCC Toxic Wastes and Race at Twenty report found African Americans and other people of color make up the majority (56%) of the residents living in neighborhoods within two miles of the nation's commercial hazardous waste facilities, nearly double the percentage in areas beyond two miles (30%); they also make up more than two-thirds (69%) of the residents in neighborhoods with two or more clustered facilities. We know much more today than we did decades ago. In 1990, Dumping in Dixie was the only environmental justice book. Today, there are hundreds of EJ books covering a wide range of disciplines spanning the globe. Environmental justice research, writing, and publications have flourished since the early 1990s. Environmental justice courses and curricula can be found at nearly every college and university across the country. An expanding "pipeline" of diverse scholars, scientists, researchers, policy analysts, and planners is changing environmental and public health fields. Despite progress, people of color are still underrepresented in the environmental fields. This must change as the country transitions demographically to majority people of color in 2042. Environmental justice is now an acceptable discipline that college and university professors can select as a major research concentration, and receive tenure and promotion. It is now possible for students to receive a baccalaureate and advanced degree in environmental justice. This was not always the case. In 1990, there was not a single university-based environmental justice center or a program that offered a degree in environmental justice. Today, there are more than a dozen university-based environmental justice centers, four of which are located at historically black Colleges and Universities (HBCUs), 22 legal clinics that list environmental justice as a core area, and six academic programs that grant degrees in environmental justice, including one legal program. The Environmental Justice Movement has seeded a number of social movements, including health justice, reproductive justice, transportation equity, smart growth, regional equity, parks justice and green access, green jobs, food justice, and climate justice. Before 1990, environmental justice work garnered little recognition and remained largely invisible. However, this changed after the 1991 First National People of Color Environmental Leadership Summit. From 1990-2012, more than two-dozen environmental justice leaders won prestigious national awards, including the Heinz Award, Goldman Prize, MacArthur "Genius" Fellowship, Ford Foundation Leadership for a Changing World Award, Robert Wood Johnson Community Health Leaders Award, and others. In 1990, not a single state in the country had passed a law or an executive order on environmental justice. Two years later, New Hampshire passed its pioneering environmental justice policy in 1993. Today, all 50 states and the District of Columbia have instituted some type of environmental justice law, executive order, or policy, indicating that the area of environmental justice continues to grow and mature. Although the EJ Executive Order 12898 was signed by President Clinton in 1994, it has never been fully implemented. After lying dormant for nearly a decade under the George W. Bush administration, the EJ Executive Order received some new life in 2010 under the Obama administration--with the reinvigoration of the Interagency Working Group (IWG) that called for updating more than a dozen agencies' EJ strategic plans and Plan EJ 2014, a roadmap that will help EPA integrate environmental justice into its programs, policies, and activities. The number of people of color environmental groups has grown from 300 groups in 1992 to more than 3,000 groups and a dozen networks in 2012. Strategic foundation support has enabled the success of the Environmental Justice Movement. Yet, the movement is still under-funded after three decades of proven work. This is true for private foundation and government funding. Overall, foundation and government funding support for environmental justice has been piecemeal. Environmental funders spent a whopping $10 billion between 2000 and 2009. However, just 15 percent of the environmental grant dollars benefited marginalized communities, and only 11 percent went to advancing "social justice" causes, such as community organizing. Constrained funding has made it difficult for building organizational infrastructure, community organizing, leadership development and participating effectively in the policy arena. Clearly, much more is needed to ensure that all Americans enjoy healthy, livable and sustainable communities. In 2000, lawmakers and the NAACP called for an investigation into reports that federally funded scientific experiments which spread sewage sludge on the yards in poor black neighborhoods to test if it could fight lead poisoning in children. The calls came after the Associated Press ran a story on the issue.